– Back in 2010, the Ohio State University held an exhibit Art, Documentary, and Propaganda in Wartime China: The Photography of Sha Fei. 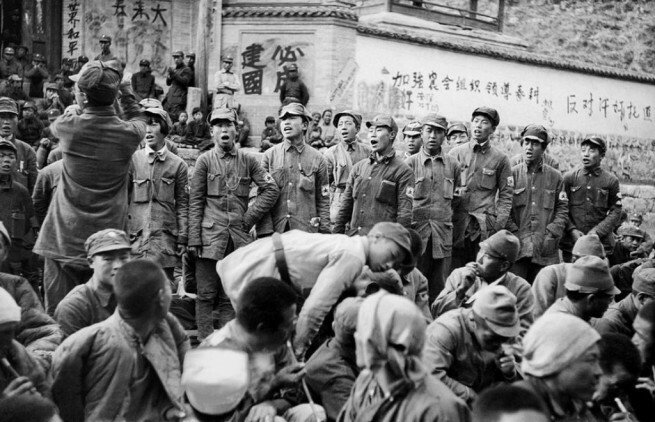 Sha Fei (1912-1950) captured the drama of the northern Communist army, known as the Eighth Route Army as it resisted the Japanese invasion starting in 1937. In that process, he also captured the unfolding socialist revolution in China’s countryside as part of his huge body of work. NPR did a great write up of Sha Fei, comparing him to Robert Capa who was also in China in 1938 capturing the war. However, unlike Capa, Sha Fei never did achieve the international recognition. Quite the opposite. Tragedy arrived … on December 5, 1949, in the Bethune Hospital in Shijiazhuang, Hebei province where he was receiving treatment for tuberculosis. Sha Fei became delusional and fired several gunshots that killed a friendly Japanese surgeon serving the Chinese Communist Party in China. As a result, he was charged with murder and was subsequently sentenced to death… and his name was to be erased from the Chinese Communist Party’s version of the history of Chinese photography. 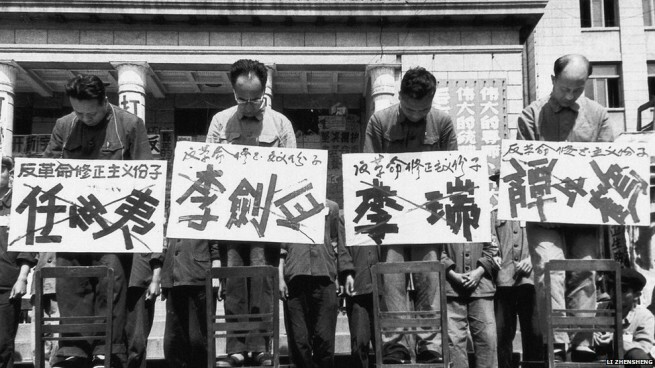 According to the exhibit curator Elizo Ho, Sha Fei’s reputation was eventually restored in 1986, when his family appealed the manslaughter verdict, and Sha Fei’s Communist Party membership was reinstated. 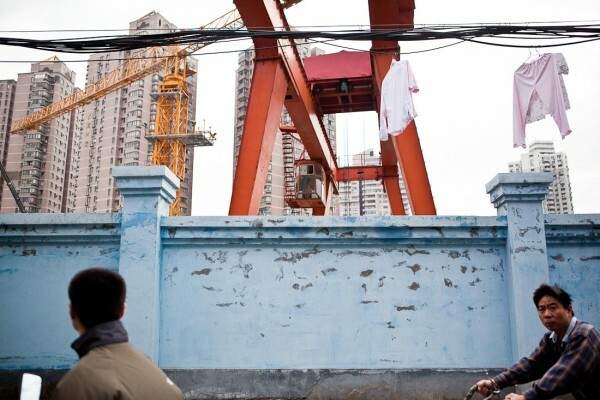 – In “Love on the assembly line“, a young Chinese photojournalist Jia Daitengfei photographed workers at the Shanghai Ying Feng Industrial Company six months apart. 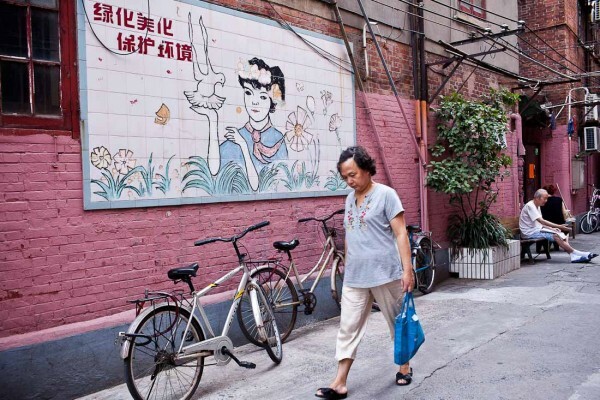 The portraits told stories of the common difficultes migrant worker faced such as doomed long-distance relationships, illnesses and other hardships. I feel this isn’t a reflection of Jia’s best work because judging from his coverage of 2013 Yan’an earthquake, the Wenzhou high speed collision in 2011, the Burma Spring, the Trembling Fortune (on the riches of Wenzhou’s entrepreneurs), Jia has a real eye for shedding layers on social issues. I found his curating sharp and professional, and discovered later he had participated in the 2012 Joop Swart Masterclass, which could be an explaination. Check out a short inteview with Jia here. – Liu Heung Shing is perhaps China’s (or at least grew up in China) only Pulitzer Prize-winning photographer, covering the death of Mao in 1976 for Time magazine and later the fall of the Soviet Union. Born in 1951 to mainland Chinese parents living in Hong Kong, he was educated in Fujian, Hong Kong and eventually in the US where he studied journalism at New York City Hunter College. 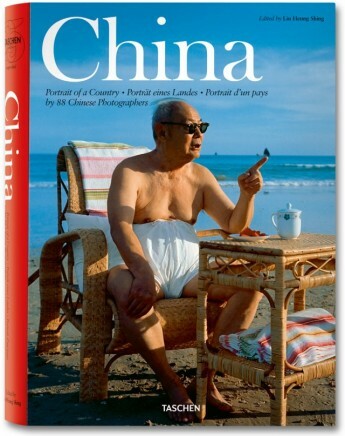 He edited the hefty tome China: Portrait of a Country, a collective visual history of China from 1949 to the present by 88 Chinese photographers. Read this incredibly thoughtful interview with Liu about his life’s work, how Chinese photographers viewed China differently and how technology has been an enabler of photography while hindering it at the same time. 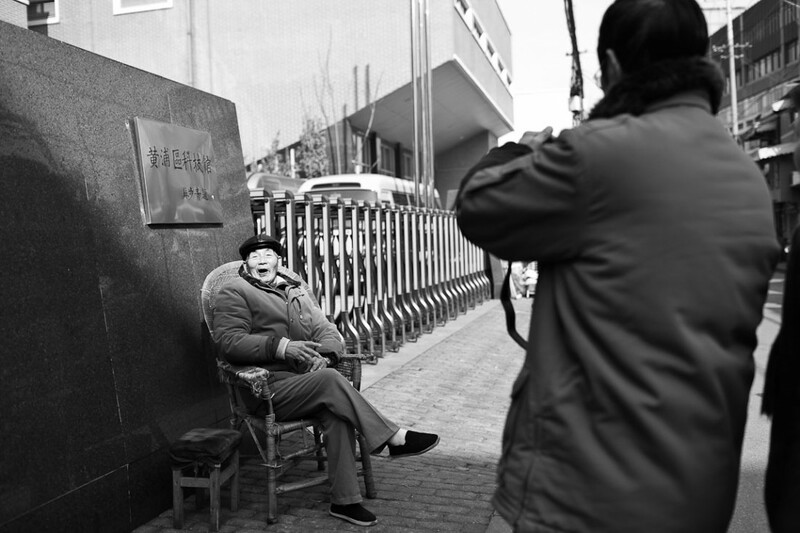 – As mentioned many times on this blog, Li Zhensheng would be one of the more well-known Chinese photojournalist known to the Western audience for his open yet stealthy coverage of the Cultural Revolution in the 1960s, also titled “Red-Color News Soldier”. – Mark Leong is a fifth generation American Chinese. 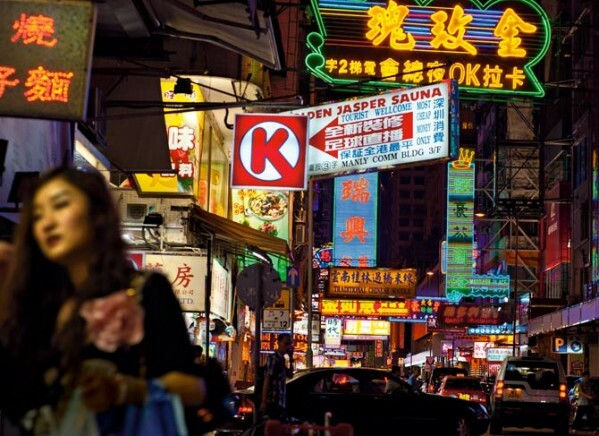 Still, I wanted to highlight his recent work, “The Floating City: Inside Hong Kong Now” which is truly emblematic of Hong Kong’s excessive wealth, urban density, gangster and prostitution underbelly and fierce and democratic civil society. An award winning photographer, Leong regularly shoots for the National Georgraphic, his most outstanding work has to be on Asian Wild Life Trade. Are there any local photojournalists you feel deserve a more international audience? SAT, this was so extraordinarily comprehensive. Thanks heaps! I’ve just recently blown through two Capa books recently — no big shpiel, since these are the two best available in the cosmic inventory — his autobiography and the followup “unauthorized” biography, Alex Kershaw’s BLOOD AND CHAMPAGNE: The Life and Times of Robert Capa — so your including Sha Fei in here is really timely for this Canadian dude…I’ve always wanted to do a kind of throwback project (more privately by email if you wish) featuring his original love interest Gerda Taro…a scintillating relationship which marks all who learn of it — those who (hopefully) have two ventricles and two aorta — with a particular poignancy. These last two posts of yours have been so meaty, and I can see the hiatus has not only allowed you to boldly return with vim and pepper, but you’ve been plying the depths lately…I’m so politely envious. May I be? I appreciated the previous comment as well…and its inclusions…like a diamond, it had many facets, truth be told. 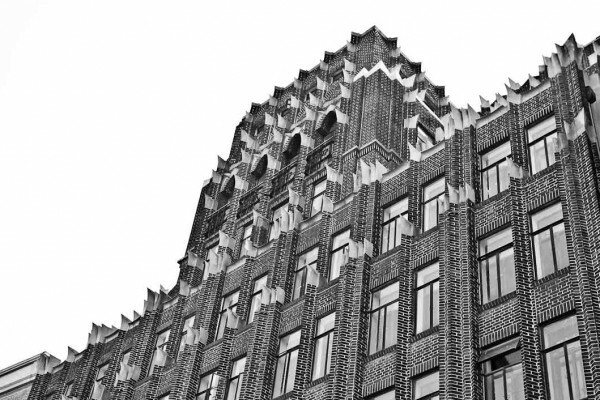 Thanks Adam, I included the photographers’ works, and sourced them so I don’t get slapped with copyright violation! Do you know if that’s acceptable? I prefer to be very careful. I’ve only browsed Capa’s books in stores, though I never read Kershaw’s book. That must be pretty epic, share a review if you get round to it. I’d love to learn more about your throwback project as well, what would it be fore? They say it’s easier to write a longer piece of work than a shorter one, so I’ll try to curtial the braindump, but glad people enjoy it. Sue Anne: I have been browsing Jonathan van Smit’s Hong Kong photos on Flickr (http://www.flickr.com/photos/n_ipper). I don’t know whether he is famous or should be famous, but he certainly takes fabulous photos of HK. Thank you! I have seen his work, he captures the underbelly around Hong Kong very well through BW, and was interviewed by Eric Kim (http://erickimphotography.com/blog/2012/04/20/interview-with-hong-kong-street-photographer-jonathan-van-smit-at-the-leica-blog/).